I remember a day, one particular day, about a year before I heard of God’s love for me. I was a young mother, not yet 17, and as I stood at the sink scouring a pan with an SOS pad I though, “Is this all there is?” For the next year thoughts like that would drift into my mind. Life stretched out before me like an Interstate Highway with nothing much interesting along the roadside. In His grace God had begun showing me my need. I needed Him. Interruptions in our plans, the war in Vietnam, and a friend that worked at a mill were just some of the things He used to get us where He knew we needed to be. Where I needed to be. Geographically, emotionally, and spiritually. He moved in my life. He moved my life, until I was in the right place at the right time. Then He brought a messenger of grace. Grace met me and moved me from darkness to light, from this world into the kingdom of God. At the time it just seemed like life being hard and things being unfair. The Tet Offensive happened thousands of miles away, but stomped all over our lives. A University reneged on an acceptance letter, and a young secretary followed us out to a parking lot to give us a little advice. If you’re praying for someone to come to God, take heart. It may look like nothing’s happening. Nothing spiritual, but God knows how to lay the groundwork, how to set the stage, how to get circumstances lined up. 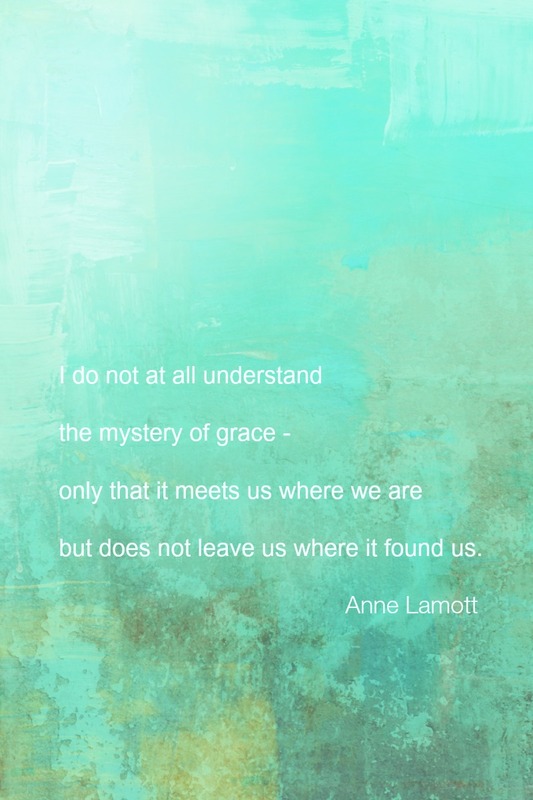 Grace knows where to meet us and how to move us close to God. I’ve waited on God for a daughter and granddaughter who seemed lost to Him and to us. Let me encourage you to persevere in prayer and in faith. What a wonderful reminder. Thank you!! Have a blessed day, Kelly! Thanks Skye. PS I love your name. Is there a good story about how it was chosen? Haha! Maybe not so cool for your Mom thought 😉 You look too young to have had ‘Hippy parents’, maybe they were just avant-garde. A nice reminder that we need to be prepared to recognize it when it arrives. Oh how I love this: “In His grace God had begun showing me my need”. Just the other day a friend reminded me, “God gives us everything we need…not everything we want.” The beauty is that He shows us needs we didn’t even realize we had. Now that I have Him in my life, I NEED Him. Daily. Before I had a relationship with Him, I didn’t know just how much I needed Him. A beautiful post, Kelly. Thank you. God is ALWAYS at work behind the scenes whether we realize it or not.